“Secretary of State, you know better than I do, that Parliament is for once deeply representative of the country: it’s completely asunder. “Nobody in the country knows what’s going on, nobody in there [points to Houses of Parliament] knows what’s going on, and you know nothing about what’s going on, even inside the Cabinet. “Cabinet sit at sea, the country’s at sea. 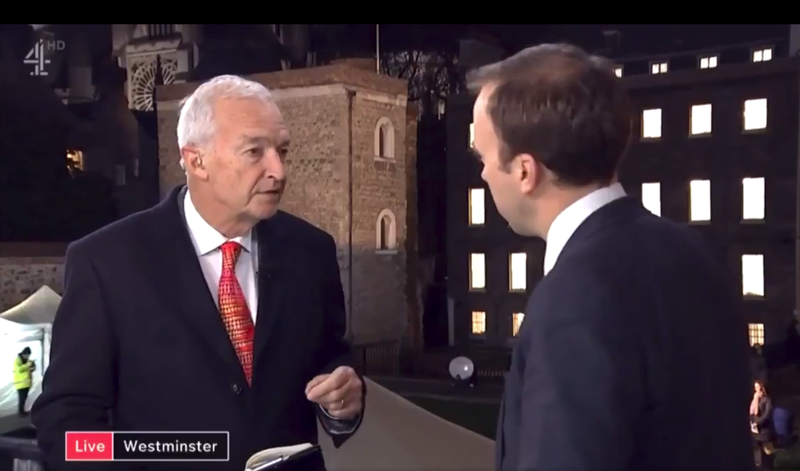 Interestingly, it has come to my attention, that there are more people than just Jon Snow, who think that Britain is a laughing stock because of Brexit – or, more specifically, the failure to deal with a fixed date (they set for themselves) in adequate time. Theresa May (19 March 2019) said Parliament had made Britain a “laughing Stock” in a cabinet meeting. She was half right, but she was in charge of the production. She should take the lion’s share of the credit ;)… still, a bit like that time she danced onto stage, and said that thing about wheat fields. Yikes. Cringe. Piers Morgan – if you ever find yourself agreeing with Piers, then you know things are crossing some kind of cosmic lay lines. He apparently slammed the desk six times, while frothing “Global laughing stock”. Fair play, man’s got a point. Farmers Weekly – WTF. I mean. WTAF. Farmers Weekly gets it, here. James Muir – a retired civil engineer, according to a Huffington Post article. FTSE 100 Analyst Clive Black – of Shore Capital Markets, here. When everyone agrees about something in Britain, there’s clearly something wrong. Especially if it is about comedy of such a high grade.